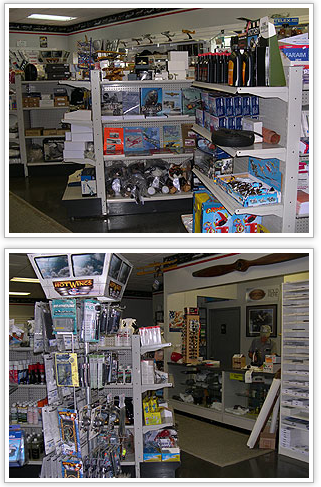 Stay prepared for all your trips with the pilot shop at Aircraft General Supply in Jacksonville, Florida. We have our own pilot shop right on the premises. Our shop carries everything a pilot could need, from tools to accessories and testing guides. Our knowledgeable staff is available to assist you in selecting the best items you need to renew your license, pass exams, or refresh your travel pack. Browse through our selection of travel gear, headphones, maps, travel guides, sunglasses, active wear, and test guides. Browse our store for the perfect gift for any aviator. We carry clocks, keychains, pilot shirts and hats, with an aviation theme. Our pilot shop also includes the latest training materials for the pilot in training. We stock the newest materials from the Federal Aviation Administration (FAA) and the most recent test prep materials to help you pass the tests. Contact our staff in Jacksonville, Florida, for more information about our pilot shop and the wide array of pilot accessories available, including testing guides and headphones.